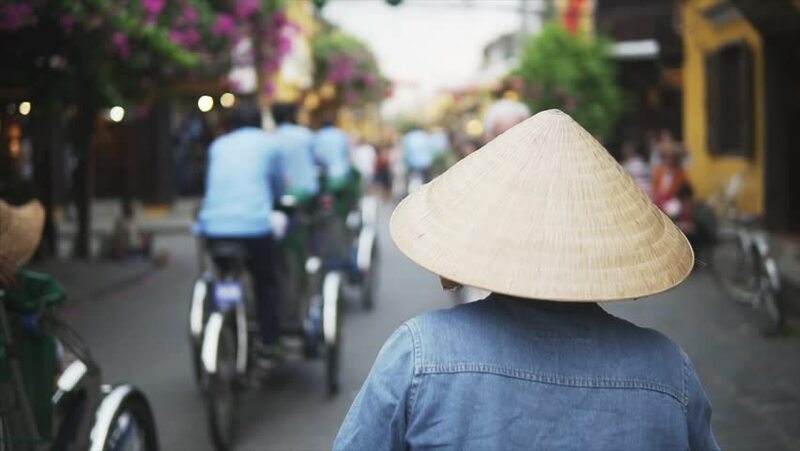 Hoi An, Vietnam - May 10, 2018: A woman with in traditional vietnamese conical hat non la , slowly going along the crowded pedestrians street in Hoian ancient town throught the tourists. hd00:11Boy in a blue down jacket standing on the street. Cars are riding in the background, the boy is watching. 4k00:09Chiang Mai, Thailand-October 4, 2015: View of Warorot Market (Kad Luang in the local language). It is a famous and oldest public market in Chiang Mai. There are many stalls selling different things.